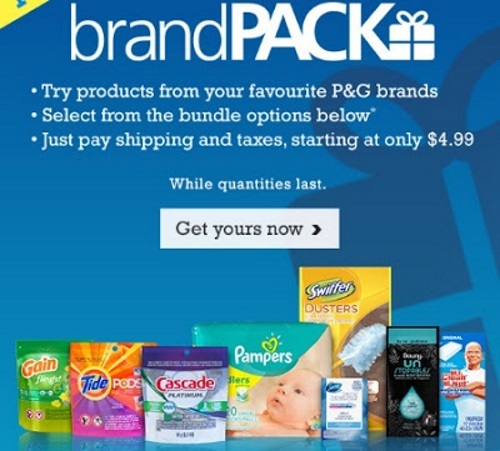 P&G BrandPack Sampler offer is back! Sign into your P&G account at the link below and you can purchase a P&G BrandPack sampler starting at $3.49 (shipping and taxes). Offer is valid for a limited time, 1 BrandPack per year, per household, if you ordered one back in May you won't be able to get one this time around. Click here to be alerted of new P&G Free Sample offers and coupons.